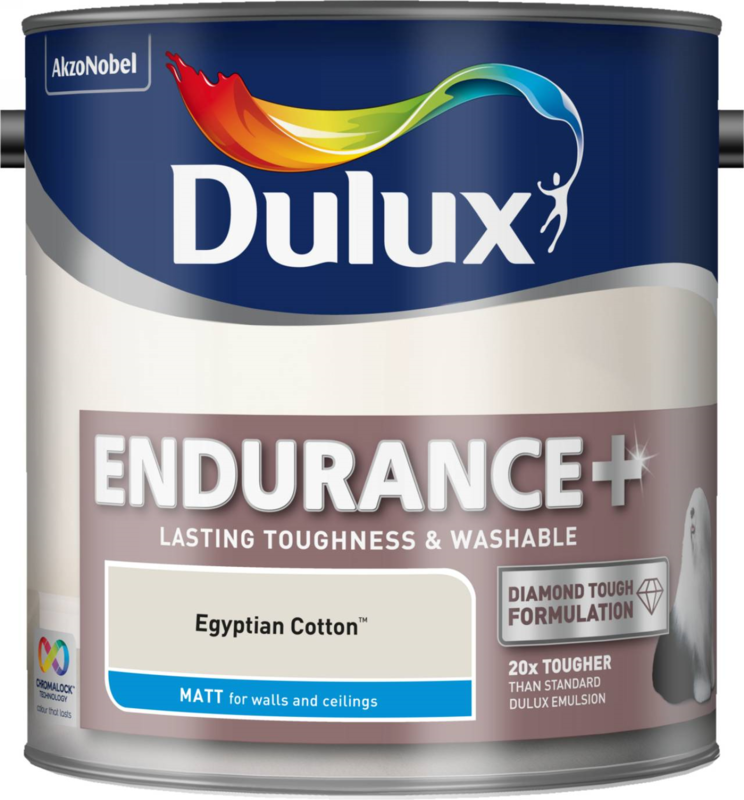 Dulux Endurance+ Matt is an exceptionally tough paint. Its Diamond Tough formulation is 20x tougher than standard Dulux Matt, and washable without the colour fading, so your home stays looking great for longer. Leave 5 hours to dry. Apply 2 coats with a brush or roller, leave 2-4 hours between coats. Do not apply in very damp or humid conditions or extreme temperatures. TIP: if the colour change is strong, more coats may be required. If you use more than one can, mix them together in a large container or finish in a corner before starting a new can.